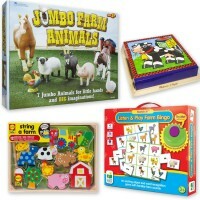 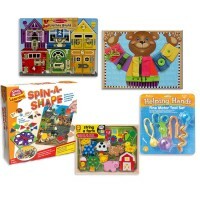 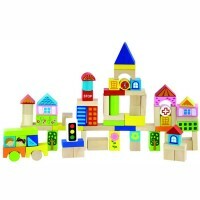 First puzzle, lacing activity toy, vehicle playset and a play town - all in one Busy City Play Set by Hape. 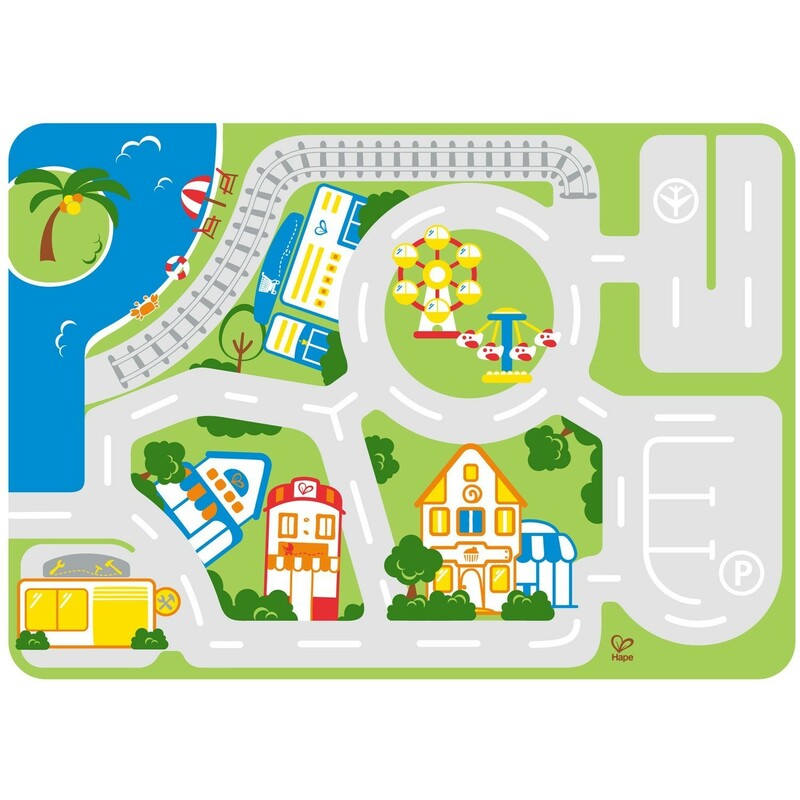 Build, lace, and play with your own pretend town! 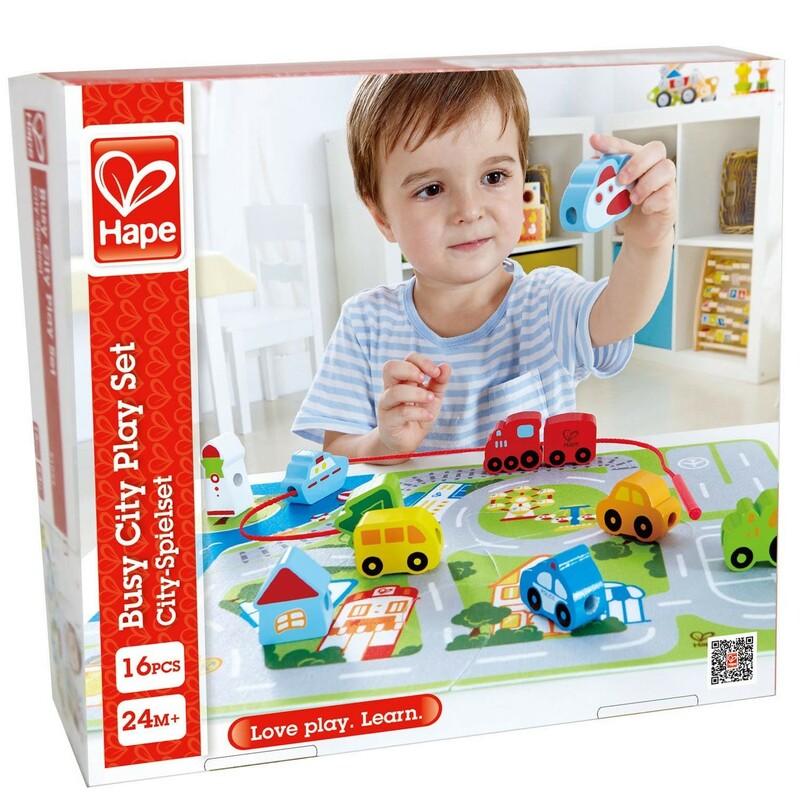 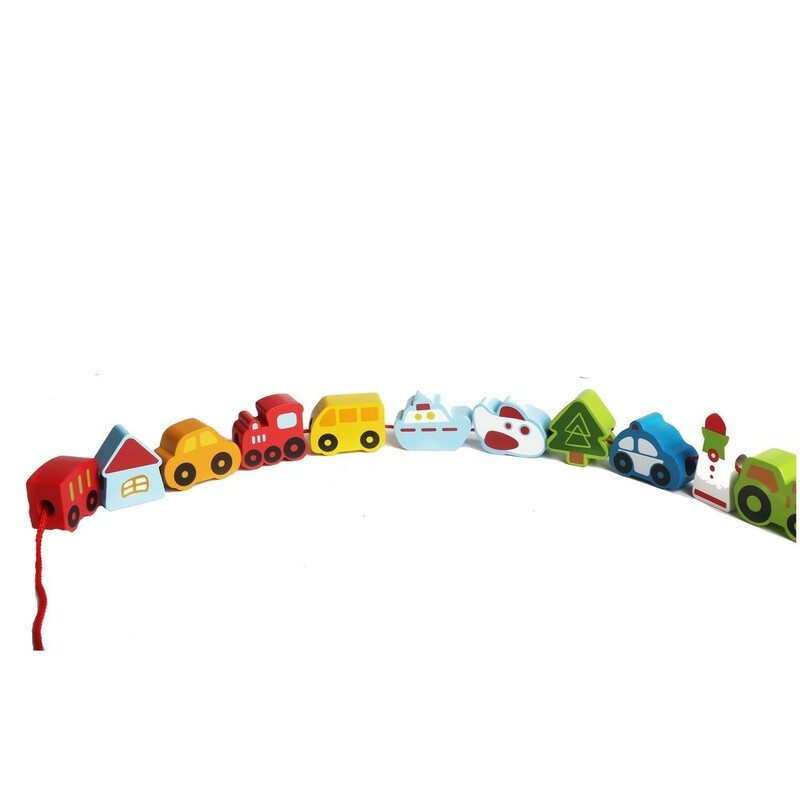 Busy City Lacing and Puzzle Set by Hape is a lacing set, vehicles play set, a city scene puzzle, and a pretend play toy - all in one box! 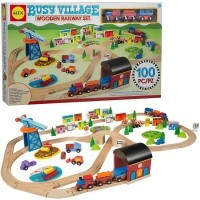 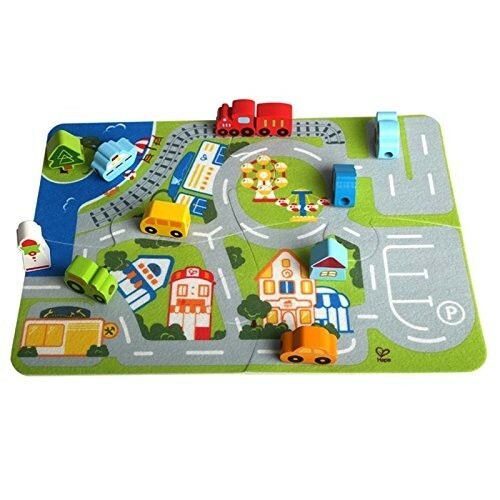 This pretend town can built right on the floor or table in your play room. 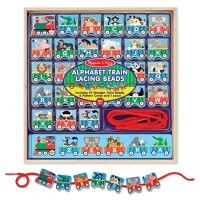 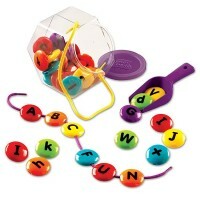 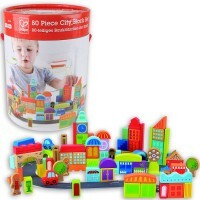 The Busy City Lacing and Puzzle Set features 16 pieces to play and learn with. 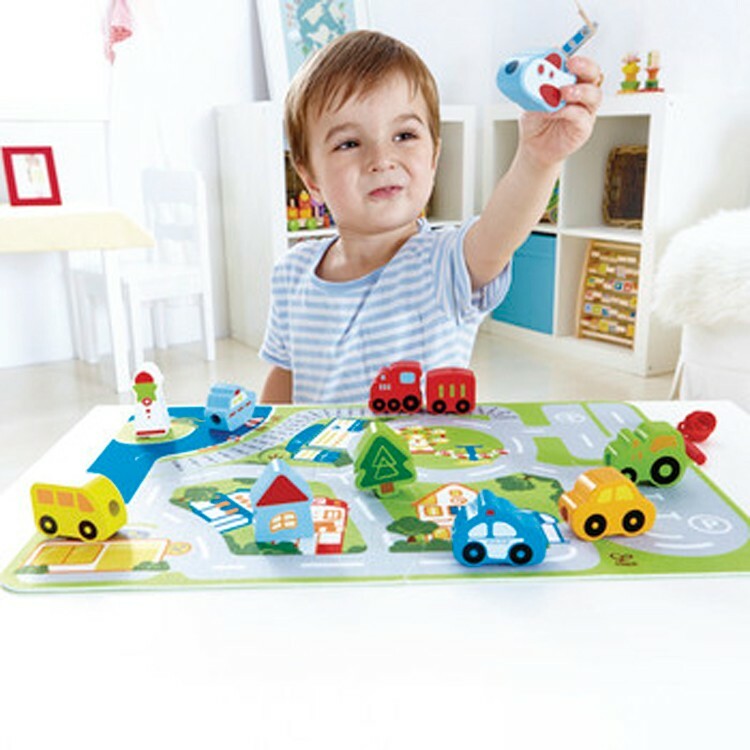 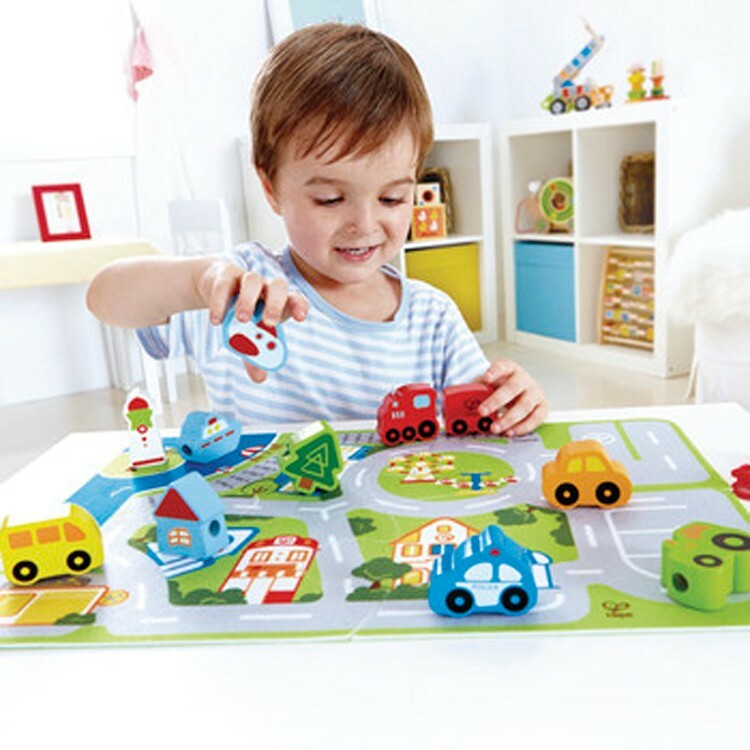 Build a city with the 4 pieces street map puzzle mat, move the wooden toy vehicles along the streets and play the imaginative town for hours. 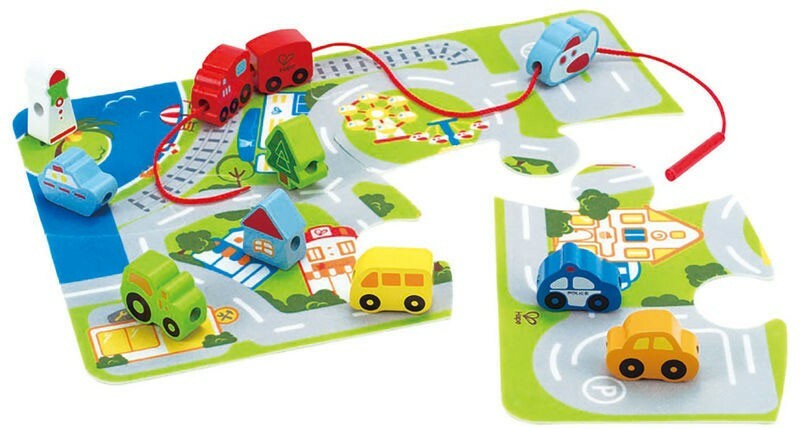 Or add some manipulative fun lacing the toy cars on the long lacing string with the lacing plastic needle that is perfect for the little hands. 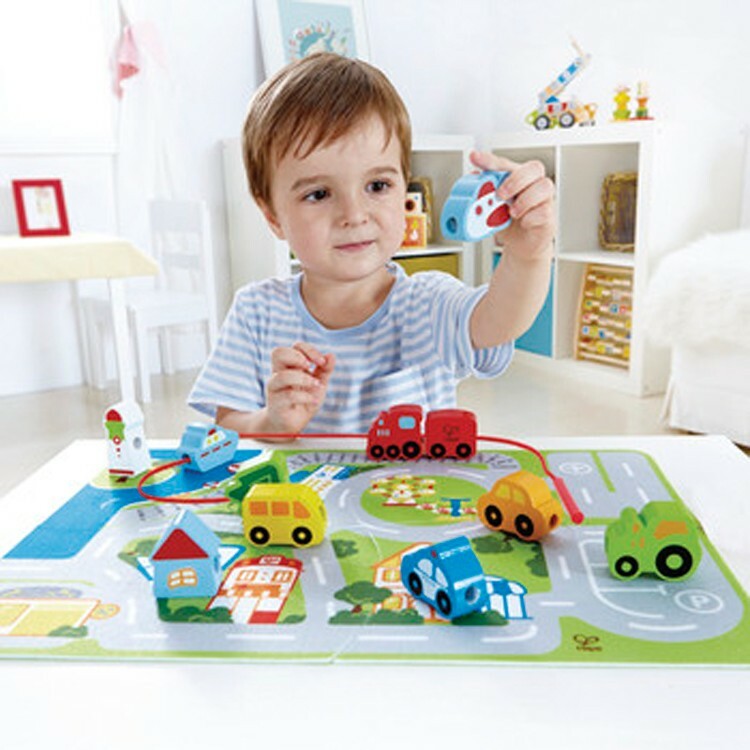 From Educational Toys Planet, this new Hape's lacing activity toy town is surely to keep your toddler or preschool child busy! 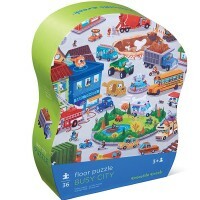 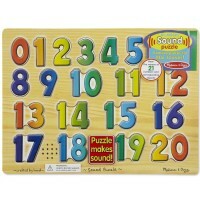 Dimensions of package 11.7" x 16.55" x 2"
Write your own review of Busy City Lacing and Puzzle Set.